Health, Fitness, Diet, Hydration, Lifestyle and More! Artificial Sweeteners: Ineffective Against Weight-Loss? So, this begs the question. 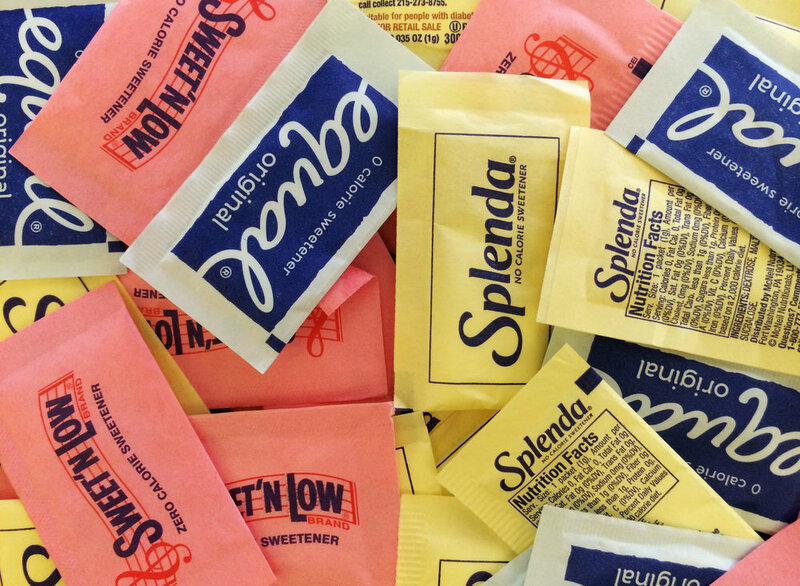 Are artificial sweeteners really helping? Moreover, they may even be harmful. Today’s adults are living longer, healthier lives due in part to better fitness and nutrition programs. With the number of Americans 65+ expected to reach 20% of the U.S. population by 2050, exercise and diet is more important than ever. These tips can help older adults enhance overall wellness into their later years. Fight afternoon fatigue. Fatigue is a common problem among older adults, especially after lunch. Having a glass of water and a high-antioxidant food like a prune (recently shown to promote bone health) can revitalize the body and stimulate the mind. Exercise from the neck up. Keeping the brain active and fit is imperative to the health of older adults. Not only does it stave off memory-loss illnesses like Alzheimer’s and other forms of dementia, but it also fosters executive function. Try word games and recall exercises. For example, find five red objects during a walk in the neighborhood and recall them when back home. Pole walk. Walking poles allow for more balanced mobility than walkers or canes. Walking with poles engages the muscles of the upper torso, which increases upper-body strength and cardiovascular endurance. Consult a physician before making the switch to poles. Dine in duos. Those who share meals with others eat less than those who eat alone. This is an easy weight-loss tactic and one that fosters social interaction and engagement. While this is easy for those aging in community, older adults aging at home can plan to have meals with family or friends at least several times a week. Break routines. Routine limits brain stimulation. It can be as easy as introducing new foods or new ways of eating the same food. For example, replace canned peaches with freshly sliced ones. Also, try taking a different route to the grocery store or shopping center. Get Sole Support. As people age, the fat pads on the bottom of their feet compress, creating fatigue and pain. Consider wearing supportive shoes or inserting foot pads for better stability and comfort or socks that have extra padding and a wicking agent to keep feet dry and comfortable. Fats: Out with the bad, in with the good. Older adults with an increased genetic risk for dementia can reduce the risk by increasing the amount of omega-3 fatty acids in their diet. These fatty acids, found in fish, nuts, olive oil and green leafy vegetables, can reduce brain inflammation, a possible cause of Alzheimer’s disease. Decrease salt and increase your salsa. High blood pressure, which can lead to strokes and a significant decline in cognitive function, often increases with age. As adults get older, the sense of taste also fades, leading to a desire for more salt on food to enhance flavor. Decreasing salt intake by putting down the shaker and increasing exercise habits by shaking to a salsa beat will enhance cardio and cognitive health. Try a balancing act. In addition to exercises that build strength and improve flexibility and cardiovascular endurance, make sure to add balance activities to the daily routine. Good balance requires maintaining a center of gravity over the base of support. Tai chi, yoga, walking on challenging surfaces and water exercises all enhance overall balance. Dance like there’s no tomorrow. Older adults getting regular physical exercise are 60% less likely to get dementia. Exercise increases oxygen to the brain and releases a protein that strengthens cells and neurons. Dance involves all of the above plus the cerebral activity present in learning and memory. Relaxed, eco-chic chain serving health-conscious fare, including vegan options, plus cocktails. 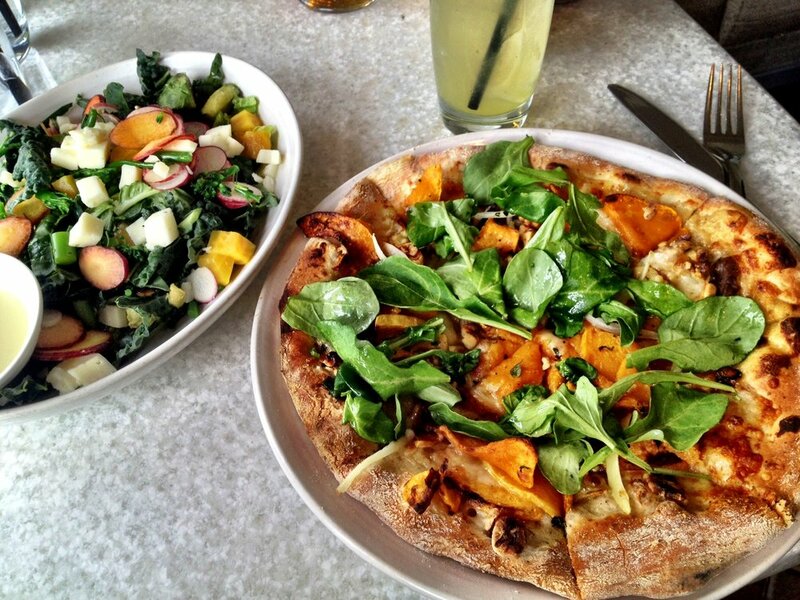 Vegan dishes that replicate many carnivorous delights in a colorful, laid-back setting with a patio. Casual modern cafe serving a full menu of vegan foods, craft smoothies & gluten-free desserts. One tequila, two tequila, three tequila… floor. The typical margarita can run you as many as 500 calories—but not when you use Zenful and Honor (Redencion) together. Who is Redencion: You know who you are, what you like, and who to spend exclusive moments with. You live every moment with confidence and conviction. You fully enjoy life, without haste, without excuses - with freedom and clarity. Flavor & Aroma: This taste provides a refreshing sensation with immediate aromas of oak, honey, and cocoa. It also has a clean honest nose, and from the first sip you’ll notice characteristics of dried fruits such as red currants. It invites you to take another sip and appreciate its balance between the fragrance of flowers, coffee, chocolate, and a hint of white pepper; a combination of sweet and spice. Do we have your attention? Use code: ZENFUL50 to recieve 50% off this weekend only. Click HERE to shop NOW. This low-cal taco adds a kick with the addition of jalapeño peppers. Plus the veggies and beans add 5 grams of filling fiber and 8 grams of protein. A salsa, cilantro, and lime juice topping adds a spicy layer to these otherwise mild tacos. And shrimp is rich in iron, which gives you energy and keeps your immune system healthy. Mango and avocado create a rich mix of sweet and salty flavors, while the marinated tilapia adds a tangy citrus element. The radishes have a mild bitterness, a nice complement to this 450-calorie dish. You may not have heard much about fulvic acid in the mainstream media, but to put it very simply… life as we know it would not exist without it! It is directly relevant for a healthy body because it makes nutrients in the foods we consume (such as vitamins and minerals and other herbal supplements) more readily available for use by our body’s cells. Fulvic acid is critical for nutrient absorption because it is highly “bioavailable.” In other words, it is easily absorbed into our blood when we consume it. And while being absorbed itself, it also improves the absorption of various nutrients via our digestive system. In fact, mineral absorption without prior chelation (a type of bonding of ions and molecules to metal ions) by fulvic acid is only about 10% effective. Fulvic acid also allows minerals to regenerate and interact with one another, enhancing their availability. Finally, because of its very low molecular weight, fulvic acid is able to pass easily through the protective membranes into our body’s cells. While doing so, it brings in nutrients, minerals, and vitamins in the right quantities, while keeping others out. In fact, it is able to transport over 60 times its own weight in vitamins and minerals into cells! In other words, fulvic acid increases the overall retention, absorption, and efficient utilization of nutrients present in both foods and supplements, improving the overall health and functioning of our body. For all these reasons, an increasing number of health experts are beginning to advocate that everyone take a fulvic acid supplement regularly – both to overcome any nutrient deficiencies they may have, and to better maintain their health and wellbeing. Fulvic acid is extracted from humus – a thick, dark brown or black organic material that forms in the soil, sediment, or aquatic environments when plant and animal matter decays into its most basic chemical elements. Humus makes soil more fertile and also allows air and water to move easily through soil, allowing oxygen to reach the roots of plants. Along with fulvic acid, humic acid is the other major component of humus. In fact, fulvic acid is actually a type of lightweight humic acid. Of the two, fulvic acid is used for its many nutritional benefits, while non-fulvic humic acid is better known for its antiviral and antibacterial properties. Many of the chemicals that are naturally present in fulvic acid are important (even critical) nutrients for plants, bacteria, and other organisms that live in soil. Soil containing humus and fulvic acid is better able to retain moisture. They also improve soil structure and enable plants to easily take up and use the vital nutrients they need. In combination with active carbon and high molecular oxygen, fulvic acid is one of the most powerful antioxidants around. When it encounters free radicals, it supplies an equal and opposite charge to neutralize them, acting as a health-protective antioxidant. By being an electron donor as well an electron acceptor, based on the cell’s requirements, fulvic acid protects our body’s cells and their internal structures from harmful oxidation by environmental toxins and pollutants – and is therefore a crucial factor in the prevention, even reversal of infections and diseases. The carbon, hydrogen, and oxygen molecules in fulvic acid carry an enormous amount of energy, enhancing virtually everything they are bonded to. Fulvic acid forms strong complexes with many metals – including “ferric” iron, aluminum, and copper – thereby increasing their ability to dissolve in water. These metallic minerals dissolve and disappear into the fulvic structure, becoming biochemically reactive and much more mobile. In other words, fulvic acid is nature’s way of “chelating” metallic minerals, turning them into readily absorbable, bio-available forms. Fulvic acid also allows heavy metals to move through the body much more efficiently. In nature, fulvic acid makes minerals and metals more easily absorbable through plant root cell walls. Minerals (such as iron) that are not usually very mobile are easily transported through plant structures thanks to fulvic acid. Fulvic acid also dissolves and transports vitamins, coenzymes, hormones, and antibiotics that are found naturally in the soil. While plants make many of their own vitamins, they are further supplemented by those in the soil they grow in, thanks to fulvic acid. Along with all its other beneficial properties, fulvic acid is a powerful electrolyte that dissolves in water and other liquids and is able to conduct electric currents, helping to keep the electrical potential of our body’s cells balanced. As an electrolyte it maintains the health of the body’s cells by allowing the free flow of electrons and other ions and increasing cell membrane permeability – which also helps to absorb nutrients faster and keeps them in the body longer. The body’s overall electric potential can be negatively affected by fluid loss, emotional and physical stress, lack of sleep, a sedentary lifestyle, and poor nutrition. Improving the electrolytic balance in our body’s cells helps them to protect themselves against infections and diseases. In this way, the electrolytic properties of fulvic acid help to protect our health. Fulvic acid is vital for binding to pollutants such as pesticides and herbicides and catalyzing their breakdown and dispersal. For instance, the toxic herbicide known as “Paraquat” is rapidly detoxified by fulvic acid. Promisingly, most radioactive substances seem to react rapidly with fulvic acid, to form inactive complexes that can then be excreted from the body. Why Take a Fulvic Acid Supplement? It’s a sad fact that most of today’s mass-produced fruits and vegetables don’t contain enough fulvic acid to ensure complete absorption of the many vitamins, minerals, and other nutrients they contain. Not only that, they already contain very low levels of these nutrients, because the soils they are grown in have become depleted thanks to over-farming and careless soil management practices. For these reasons, an increasing number of health experts recommend taking supplements containing fulvic acid as a regular nutritional aid, with or before meals. Since fulvic acid is a naturally occurring acidic complex, these supplements should have an acidic pH. In more alkaline solutions they will be rendered inactive and unable to provide their health benefits. Fulvic acid is an organic product and known to be completely non-toxic. However, it should be remembered that reports of their effectiveness are anecdotal at this time. Therefore, always be sure to consult a qualified healthcare practitioner before taking fulvic acid supplements to ensure that they don’t interfere with any other ongoing treatments or medications. Finally, remember that no supplement can substitute for a balanced, nutritious diet, proper exercise, and healthy lifestyle choices. On the other hand, taking a fulvic acid supplement regularly will perfectly complement your healthy life choices – aiding in overall health, wellbeing, and protection from disease. If you’re looking for a simple way to unwind from your stress-filled life, try this: drink a glass of water. Sound too easy? The link between water and stress reduction is well documented. All of our organs, including our brains, need water to function properly. If you’re dehydrated, your body isn’t running well -- and that can lead to stress. “Studies have shown that being just half a liter dehydrated can increase your cortisol levels,” says Amanda Carlson, RD, director of performance nutrition at Athletes’ Performance, a trainer of world-class athletes. “Cortisol is one of those stress hormones. Staying in a good hydrated status can keep your stress levels down. When you don’t give your body the fluids it needs, you’re putting stress on it, and it’s going to respond to that,” Carlson tells WebMD. That doesn’t mean that drinking plenty of water throughout the day will magically cause your money problems, your kids’ troubles at school, and your deadlines at work to disappear. But if you’re already stressed by coping with all of these things, you don’t need the additional stress of dehydration to add to your burden. Stress can cause dehydration, and dehydration can cause stress. It’s a vicious cycle. You can break it by building more water consumption into your day. “Stress can result in many of the same responses as dehydration -- increased heart rate, nausea, fatigue, headache -- so if you can remain hydrated you can reduce the magnitude of the physiological responses we have to stress,” says Trent Nessler, PT, DPT, MPT, managing director of Baptist Sports Medicine in Nashville. First, are you thirsty? If you are, you’re already dehydrated. Second, take a look at the bowl the next time you go to the bathroom. If the urine is dark in color and has a pungent smell, you’re dehydrated. The darker the urine and the stronger the smell, the more dehydrated you are. In general, you should try to drink between half an ounce to an ounce of water for every pound you weigh, every day. For example, if you weigh 150 pounds, that would be 75 to 150 ounces of water a day. If you’re living in a hot climate and exercising a lot, you’d be on the higher end of that range; if you’re in a cooler climate and mostly sedentary, you’d need less. Carry an insulated sports bottle with you and fill it up periodically. Keep a glass of water on your desk at work. Keep another glass next to your bed. Many of us wake up dehydrated first thing in the morning. Switch one glass of soda or cup of coffee for a glass of water. Drink small amounts of water throughout the day. Six glasses all at once isn’t good for you! If there are certain places and times in your life when you know you’re under extra stress -- at work, at carpool pickup or dropoff, during a particular class -- be sure to have a bottle of water with you to sip during those high-stress times. “Think about times of the day when you can fit it in, and make a conscious effort,” Melto says. Want to try EarthWater today? USE CODE: ALLEWC20 - click HERE. What's a typical day for you like? I wake up, go workout at the boxing gym or go mountain biking, something to get the heart rate up. Then I go to my dad’s shop to help him build seats or work on any new projects he has, or I’ll go to BK Racing and spend some time with my No. 83 team. How do you train for races? I do a lot of cardio and a lot of punching bag exercises. Nutrition is also a big deal to me. If you could do any race over again, which would it be, and why? There are several I’d like to do over, but I can’t, so I try not to think too much about that. I just focus on not making the same mistakes again. If your friends and family could describe you in three words what would those words be? What is the most daring thing you've done outside of racing? Nothing particularly daring yet, other than going 200+ mph in a racecar, but sky diving is on my bucket list. If NASCAR decided to let you have a passenger, and you got to choose whomever, who would you pick? I would invite Jesus, so he could take the wheel! What was your experience with our products? Would you recommend it to others? I’m a water critic, and I’m very particular about what I drink. I love the FulHum water because of all of the nutrients that it helps replenish when I’m sweating in the racecar. I’d definitely recommend it to any of my fellow racecar drivers. With up to 100cc or 1 Heaping scoop of storage, the Umoro One is the perfect supplement companion. A leak-proof compartment gives you various options for use. Designed not to impede water flow to the mouthpiece, you can use your bottle to drink the beverages of your choice without any mixing. This feature makes the Umoro One far more functional and convenient then any other shaker bottle. Imagine, a new experience where dispensing your supplements were as easy as pushing a button and fumbling with plastics bags or detachable containers were a thing of the past. At Umoro we re-envisioned the shaker bottle to accomplish this experience. You are the center of attention with the Umoro One. Have your supplements ready on demand and easily accessible without second thought. Add our fulhum products into the mix, and you've got a GAME-CHANGER! Walking is one of the easiest, cheapest ways to help your body. Research shows that walking at least a half-hour a day can help reduce your risk of coronary heart disease and stroke; improve your blood pressure, blood sugar levels and blood lipid profile; maintain your body weight and lower the risk of obesity. There are even benefits to your mental health and reducing risks of things like Type 2 diabetes, osteoporosis and some forms of cancer. So, be sure to get up today, go for a quick walk and grab that EarthWater on the way out! The best heart resources on the web 2017 – a guide by Paul at Cassiobury Court.